Here's where to watch every episode of Rawhide season 5. Mouseover or tap an episode to see where to stream it. Click or tap the play icon to stream it on the best available service. Incident of the Hunter Sep 28, 1962 John Shepard a former POW along with Rowdy is now a bounty hunter. The drovers wonder who he is after. Incident of the Portrait Oct 5, 1962 Frank Trask enters the Curtis' at night through a window. He's hungry and takes a picture of a woman. Raymond Curtis hears a noise and checks it outs. Trask knocks him out. Marion, the woman in the picture, ""sees"" Trask leave. Incident of the Prodigal Son Oct 19, 1962 Sam Hargas finds a half baked, half starved greenhorn, Ben Whitney IV. His horse stepped in a chuck hole. He's a rich brat. Incident of the Four Horsemen Oct 26, 1962 Favor and Clay are witnesses at a the wedding of Amy Gault and Frank Louden. Gus Marsdon provokes Frank into shooting Amy's brother Carl. Tom Gault, Amy's father, sends Ben Kerran after them. Frank and Tom claim the same 100,000 acres. Incident of the Lost Woman Nov 2, 1962 Favor finds a woman, Lissa Hobson, still alive but not by much, and her baby, Tad. Incident of the Dogfaces Nov 9, 1962 Rowdy,Quince and Clay help out three soldiers being attacked by Indians. They were sent to break the treaty with Broken Bow. Incident of the Wolvers Nov 16, 1962 Rowdy hires wolfers Abner Cannon and his children. Incident at Sugar Creek Nov 23, 1962 An injured ex-con Sam Garrett is refused treatment by his home town. Incident of the Reluctant Bridegroom Nov 30, 1962 Rowdy gets drugged in a bar with Shelia, the bar owner's girl and wakes up married to her. Incident of the Querencias Dec 7, 1962 Gil's old friend, Lije Crowning, has had his ranch foreclosed on by the bank. Lije wants to take his thirty head with the drive to Colorado. Incident at Quivira Dec 14, 1962 Monty Fox comes stumbling up to the night camp playing the concertina, saying he's found the promised land. He says he's found Quivera, Coronado's golden city. He says he'll share with those who help him against those who chased him out. Incident of Decision Dec 28, 1962 When Rowdy buys eighteen cattle for the next drive he has to contend with a young would be drover with a crooked leg and banditos. Incident of the Buryin' Men Jan 4, 1963 Favor and Rowdy see two Cheyenne. They are watching a burying wagon. It's owner, Pomeroy K. Tollliver (Poke) surrenders to Favor thinking they're a posse. The wagon is broken. Favor will have the wagon fixed and Poke can ride to Rock City with the herd. Incident at the Trail's End Jan 11, 1963 Harry Maxton has glaucoma. Gil offers Harry a job to Rowdy's surprise. Incident at Spider Rock Jan 18, 1963 Lola's saloon is watering the booze and cheating the drovers. The supplies Wish bought are bad. Incident of the Mountain Man Jan 25, 1963 Thomas and the men of the wagon train are ready to string up Josh Green for killing Thomas's boy. Josh is a mountain man lost in the modern world. Incident at Crooked Hat Feb 1, 1963 Gil stands by his old friend Jack Jennings. Jack's a gunfighter. In a fair fight he shot the brother of the most powerful man in the town. Incident of Judgement Day Feb 8, 1963 Rowdy's ex-commanding officer, Captain Cabot convenes a make shift courts-martial for him in a ghost town. Incident of the Gallows Tree Feb 22, 1963 In Cottonwood, at the Pair-A-Dice Saloon, Qunice gets in a fight with Major Courtney. Jim swears he'll kill him. Incident of the Married Widow Mar 1, 1963 In Calvin, Miss Abigail owns The Silver Slipper Salon, a very posh saloon. There Rowdy sees the picture of the dead war hero, Gil Favor, Abigail's husband. 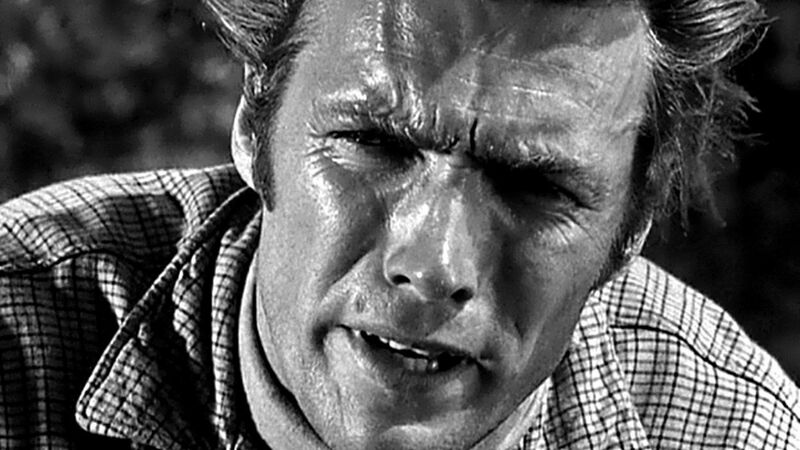 Incident of the Pale Rider Mar 15, 1963 The new man is a dead ringer for the man Rowdy shot in a Wells Fargo holdup. Incident of the Comanchero Mar 22, 1963 Sisters Benaventura and Teresa cut Maria Jose Chappela off an indian torture rack. Incident of the Clown Mar 29, 1963 Morris G. Stevens, a failed actor, toured the world as a clown. Now a philologist he wants to create a Comanche dictionary. Incident of the Black Ace Apr 12, 1963 A gypsy tells Wish's fortune he draws the death card three times. Incident of the Hostages Apr 19, 1963 Rowdy buys three white children from the Arapahos that have been raised by the Apache. Incident of White Eyes May 3, 1963 Favor and Hey Soos rescue Domingo, Lt. Carter and the Butlers from a runaway stage. The make to a stage station and fight off indians. Incident at Rio Doloroso May 10, 1963 Don Francisco Maldonaldo sentences Favor and Rowdy to die for the death of his son. Incident at Alkali Sink May 24, 1963 Burt Harvey is accused of cowardice at Gettysburg by his new father-in-law.